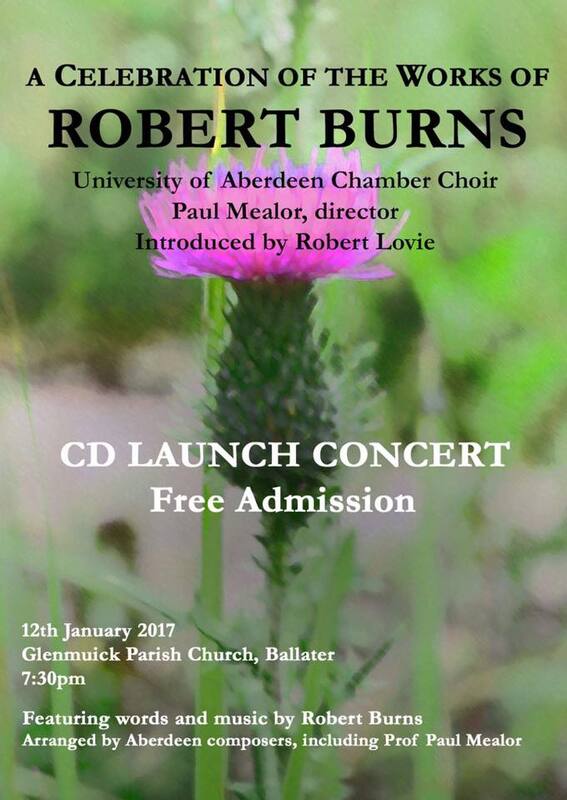 Paul will be with the University of Aberdeen Chamber Choir for the Charity CD launch on Thursday 12 January 2017 at 7.30pm in Glenmuick Parish Church, Ballater, AB35 5ZB. Paul is the director of the Choir and 100% of funds raised from this recording will go directly to the Ballater Flooding Appeal. Please come and join them for the launch of their new Robert Burns CD, Immortal Memory.